The UNYP Career Center is conjoining the university and business, graduates and the employment market. One of Career Center objectives is to help students develop their careers and makes available the UNYP’s institutional networks. UNYP is also committed to its students even after the graduation (Alumni) and provides a range of career services for professional development and (re-) orientation. Internships provide a exceptional opportunity to recruit staff. Selected students could work for your company during couple of weeks or months and apply their theoretically acquired knowledge directly to practical tasks. By employing interns, your company will become rich into most recent theoretical approaches and strategies whereas students will profit from your professional experience and practice. Should you wish to make use of our service, please submit your offer for an internship or job (including trainee programs as well as part-time, full-time, second and holiday jobs) as a pdf file or link to careeroffice@unyp.cz. We will advertise your offer on our e-Learning platform. Visits provide students with the opportunity to meet employers in person, hear first-hand from employers what it is like to work for them and develop professional contacts. Employers from various industries and career fields are available to speak with students about potential career and internship opportunities. Make contact with potential employers in good time and take advantage of the UNYP’s recruiting event! 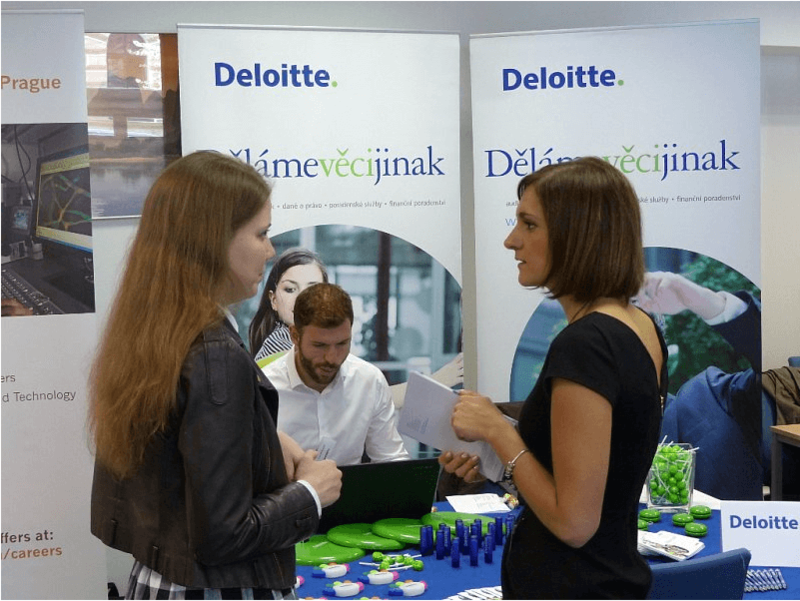 Career Days are held with the participation of leading companies on the Czech market and recruitment agencies, and are organized for students and graduates who are trying to find their first job, advance in their current job or attain an internship. The UNYP Career Week gived students opportunity to explore internship and career opportunities for their future. This was an excellent chance to promote different organizations and introduce the careers available. Participating companies had a room for their booths, banners etc., as well as for their individual meetings with the students/graduates who should be able to apply for full time placements or part time jobs and internships. In addition to the booth exhibit during the Career Fair, we offered complimentary use of our facilities to conduct interactive company presentations in the form of case study or workshop with learning outcome for our students on both days. UNYP pays a lot of attention to the preparation of its students and graduates for their professional careers and for this purpose we organized a wide range of activities, including Career Week twice a year. Both students and companies could choose to participate in any or in all of the activities free of charge. You can see an original video report from the UNYP Career Fair! Two days, 18 TOP international companies such as DHL, Siemens and Amazon and more than 160 UNYP students interested in their job offers. 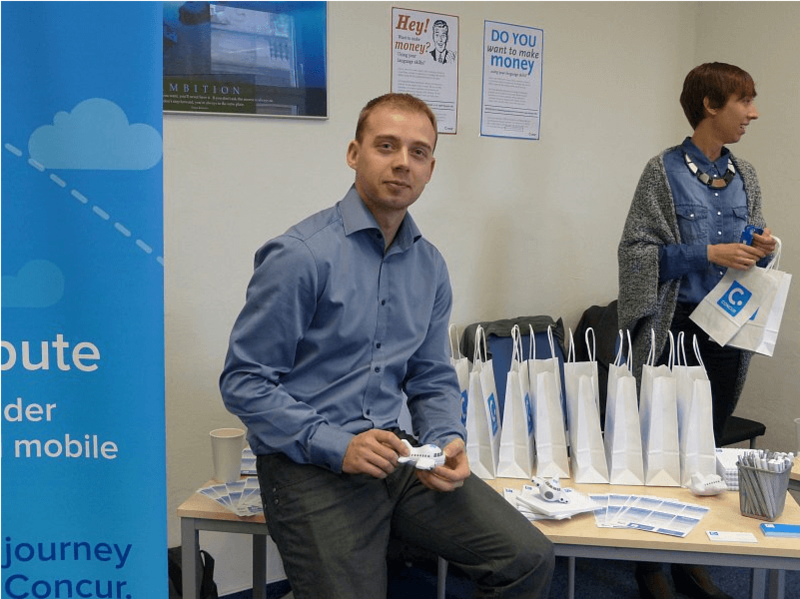 The annual CAREER DAY was held at UNYP on Thursday 16 April, 2015. 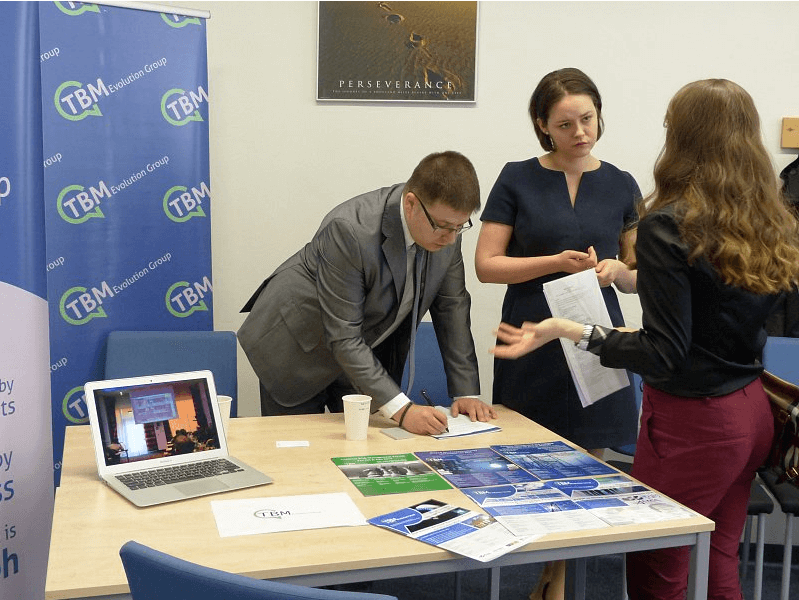 Besides individual meetings with the representatives of ten companies in Auditorium, a number of students took part in workshops and lectures which were held in parallel in Classroom 002 on the same day. Also, many students took advantage of the opportunity to have their professional photo made for their CVs, a service offered by UNIJOBS, one of this year’s participants. We would like to thank the representatives of all the companies that participated this year: AB INBEV, AIESEC PRAGUE, CZECH-US, DELOITTE, EXXONMOBIL, HEWLETT PACKARD HUB, CHEP, INTEGRATION CENTRE PRAGUE, INTERNATIONAL BUSINESS COUNCIL, NOVARTIS, PROFONTES, PROCHAZKA & PARTNERS and UNIJOBS. The purpose of these workshops and seminars is to support and assist all students in entering the job market, i.e. in exploring and making effective career choices. They are also aimed at helping students to write and improve cover letters and resumes/CVs, and to provide advice on how to apply for job offers or internships. If you are looking for a new job or decided to reorient yourself and want to exchange views or get advice, you are welcome to contact us to arrange an appointment for either a personal consultation or telephone call. In case you would like to post advertisements for internships, bachelor or master thesis projects, or jobs, please send us a mail (careeroffice@unyp.cz). We are always particularly pleased to receive submissions from our alumni! 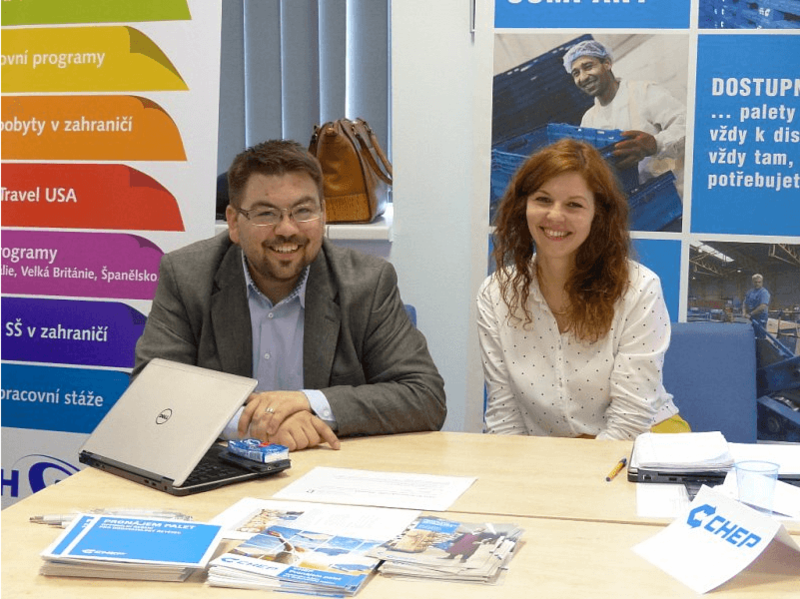 Institutions and companies from different sectors at home and abroad are fond of University of New York in Prague, thus they maintain a close partnership with UNYP and have become an integral part of the living network. From the beginning, UNYP has developed into a Business School on international level. We owe this achievement to our vision and hard work, as well as to our business and industry partners who collaborate with us on the ongoing development. Our corporate partners appreciate our high standards of quality in education, discourse, research and development. We would like to encourage you to take advantage of this platform for you as an attractive employer! The UNYP’s Career Center offers a wide range of support in the form of webpages, social media, career events and PR opportunities.